I'm really excited to announce that my new film "Echoes" will have the first USA screening at the 22nd Chicago Underground Film Festival alongside "Ruined Heart: Another Lovestory Between a Criminal & A Whore" by Khavn de la Cruz (Philippines) at the opening night screening at 6 PM on Wednesday, May 13 at the Logan Theatre. Founded in 1993, The Chicago Underground Film Festival (CUFF) is a year-round organization dedicated to the work of film and video makers with defiantly independent visions. Unlike many other “independent” film events their goal is not to imitate old guard, market-driven events such as Sundance but instead to focus on the artistic, aesthetic and fun side of independent filmmaking. CUFF promotes works that dissent radically in form, content and technique from both the tired conventions of Hollywood and the increasingly stagnant IndieWood mainstream. The 2015 festival runs May 13 - 17. 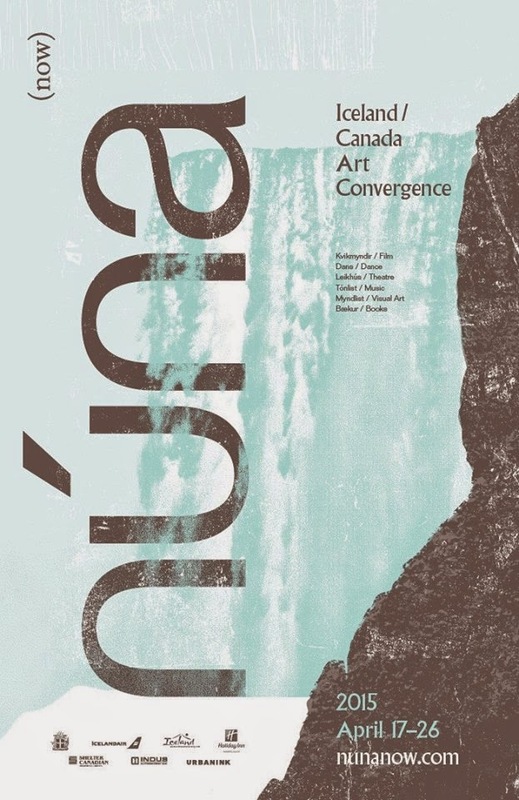 My new film, "Echoes", will have it's world premiere at the núna (now) Iceland / Canada Art Convergence alongside Erika Macpherson's "Heimþrá (In Thrall to Home)" and Julia Ryckman's "Fleeting" a music video for her project Slattern. Original music by Christine Fellows and John K. Samson will be performed at the event. The films will screen on the opening night of the festival on Friday, April 17, 2015, 7 pm at the Winnipeg Art Gallery's Muriel Richardson Auditorium and is free admission! More details here. Structured around the recollection of a premonitory dream, fragmented memories from the period leading up to the death of my mother were projected on to natural textures and surfaces, re-photographed, composited and processed until the memories became abstracted representations of the evolution, degradation and disintegration of memory and the physical self.﻿ "Echoes" was shot in Iceland in 2011 during núna (now)’s 5th anniversary programming in Reykjavík﻿﻿. During the second week of the festival, Ghost Twin, my electronic music project with my wife Karen will also perform alongside Slattern and Dj Flugvél Og Geimskip (Airplane & Spaceship) of Iceland, at the Good Will Social Club on Friday, April 24, 2015 at 10pm. More details on núna (now)'s website. 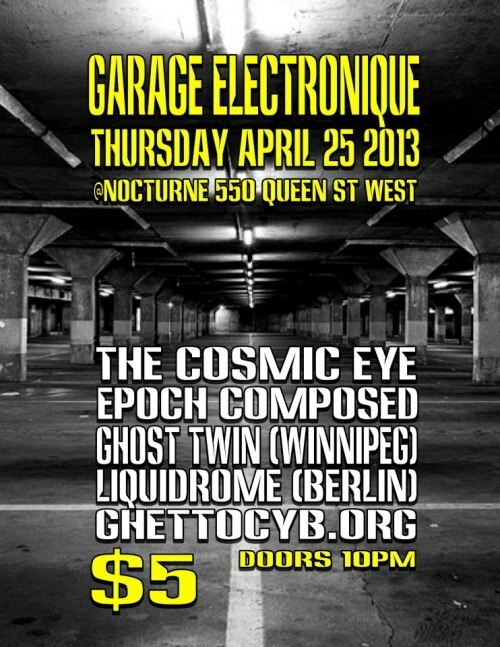 Ghost Twin, my new music/film project with my wife Karen, will play our first show in Toronto on Thursday, April 25th at Noctune (550 Queen Street West) alonside locals The Cosmic Eye, Epoch Composed, Ghettocyb.org and Liquidrome (from Berlin). Citizens Against Basswood will screen in Toronto at the Hot Docs Canadian International Documentary Festival alongside the film Special Ed by John Paskevich. The films will screen Mon, Apr 29 6:00PM (TIFF Bell Lightbox 3),Tue, Apr 30 10:30AM (The ROM Theatre) and Sat, May 4 9:15PM (Innis Town Hall). Hot Docs Canadian International Documentary Festival is North America's largest documentary film festival, conference and market, held annually in Toronto, Ontario, Canada. The 2013 edition of the Festival runs from April 25 to May 5. The Commons is proud to present the exhibition The Magus. 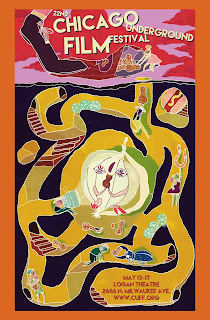 Curated by Noam Gonick, this project brings together C. Graham Asmundson's paintings, drawings and works in yarn with The Magus, 2011, a film work by his son Jaimz Asmundson which documents his father's artistic process. Seen here together for the first time, it is a focused glimpse into their unique creative and intergenerational collaboration. The exhibition will open Friday, November 23, 2012 and running until Sunday, January 6, 2013. C. Graham Asmundson received a MFA from the Concordia University and has been a prominent artist and cultural worker in Winnipeg for many years, though rarely exhibiting outside his home community. His son Jaimz Asmundson is an experimental filmmaker, video artist, and electronic musician. They recently collaborated on The Magus, 2011, Jaimz’ groundbreaking documentary about his father's transcendent art practice. Graham's works create allegorical fields of figures at times mystical, often playfully queer and insurrectionary. Jaimz uses film, video and animation techniques to penetrate deeply into his father’s unusual process whereby random impulses, channeled from the supernatural world, guide the artist while in a trance state. His bold art making has often been the centre of controversy, including the Plug In Gallery, Winnipeg, billboard project Homophobia is Killing Us, 1991, which was defaced by the Ku Klux Klan, leading to death threats. Jaimz Asmundson has exhibited in numerous festivals and gallery contexts. Selected screenings for The Magus include FIFA - Festival International du Films sur l’Art (Montreal), Hong Kong International Film Festival, MIX NY and Lume International Film Festival (Brazil) – Artistic Contribution Award. The opening reception will be preceded by a conversation with curator Noam Gonick and Jaimz and C. Graham Asmundson at 7pm in the exhibition. Also at this time Lance Blomgren’s will present Corner Pieces: Texts for Loitering. As part of his ongoing series of public posters he has produced short texts written for and to be posted in the immediate environs of The Commons. Undermining the impersonal, public tone of the urban poster with an openly subjective, mundane and seemingly meaningless series of observations and histories, Texts for Loitering offers a contemplative or dumbfounding moment for local passersby and wanderers, hustlers and flâneurs. These posters function as an associative intervention, addressing both the reader and site itself, and work to implicate the reader in his or her own role within the larger relational—and often celebratory—flow of events in the neighbourhood. Lance Blomgren’s text projects have been exhibited in Banff, Chicago, Berlin, and most recently as part of Magnetic Norths (Leonard and Bina Ellen Gallery, Montreal). He is the author of the novella Walkups, and Corner Pieces, both published by Conundrum Press. Blomgren is a MA candidate in Curatorial Studies program at UBC. The Commons is a venue for the presentation of art in all of its forms. In this way The Commons means to be a place where disciplines meet and mix, a place for cross fertilization and dialogue. The Commons facilitates the presentation of international art in Vancouver through collaboration with galleries from around the world and seeks to foster new economies for local artists through our exhibition program. "The Magus" will screen at the VIA Music & New Media Festival as part of the Multimedia Event/Screening + Pittsburgh Release of INCITE #3: NEW AGES on Friday, October 5th at 6pm. The program curated by Brett Kashmere features videos, films and performances by Jaimz Asmundson (The Magus), Jeremy Bailey (The Future of Creativity), Jacob Ciocci and Ryder Ripps (Extreme Moments Sitting Down), Clint Enns (Self Improvement), Eliza Koch (Please), Jesse McLean (Magic for Beginners), Shana Moulton (Whispering Pines 4), Lillian Schwartz (Galaxies 3D), and Leslie Supnet (Sun Moon Stars Rain). This is a new age (for New Age-ism). INCITE #3: NEW AGES focuses on the renewed fascination with New Age spirituality, philosophy and aesthetics among contemporary media artists, while seeking to address the generational shifts and divides brought on by the emergence of digital technology. 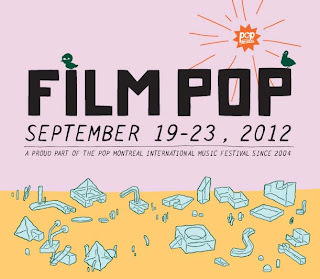 I was commissioned by to create a film for the Auroratone Project at the Film POP segment of the 2012 POP Montreal Festival in Quebec. The screening is 9pm on September 21st at the Film BOX (Quartiers POP – 3450 St-Urbain, 3rd Floor). 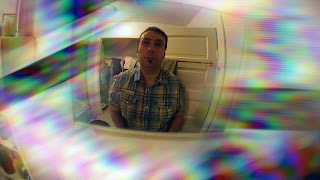 My film titled Scintoma is a first person perspective of myself as I make my way home from work, while suffering from a wicked migraine, and then fall into a fever induced psychaedelic dream. The film uses the track "Crystal Fortress Over the Sea of Trees" by the band Yamantaka // Sonic Titan.